Added some traction to my Wolfgars this past weekend using 45NRTH's tool along with these studs. The concave tip makes the studs noticeably sharper than the ones in my tires. So far I'm a big fan. 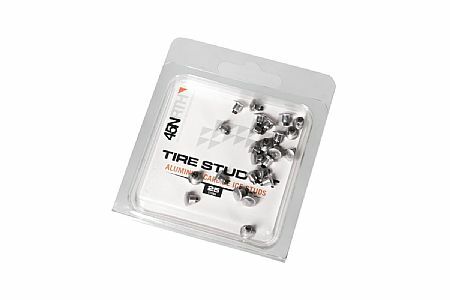 The only downside is now I want to replace my existing tire studs with these. I replaced the cheap studs on my Bontrager Gnarwhal fatbike tires. The new studs installed without a problem and I installed them over the course of a few weeks. The 27.5 x 4.5 Gnarwhal uses 216 studs per tire. Overall very impressed with the studs. Traction was notably improved over the old studs. Rides were over a mix of hard pack snow, fresh powder and plenty of ice.